Values Release New Single, "Ghost Train"
Eight long years have passed since Underoath last released new music. 2013 saw the disbandment of the band on their farewell tour, leaving fans devastated. 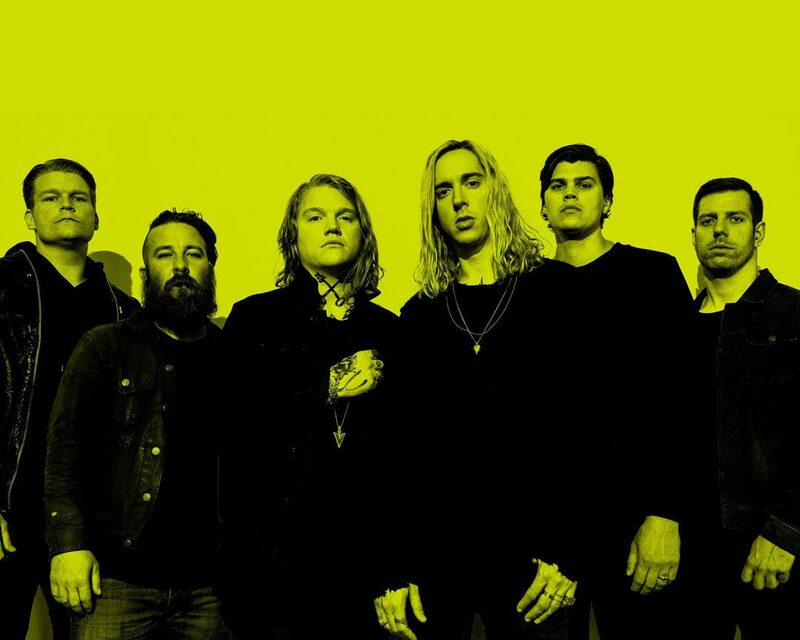 However, Underoath is now back with another chapter to add to their legacy. Erase Me explores the band’s mental and physical evolution over the years, making it unlike any previous release. Erase Me explores the growth of the band, in their beliefs and physical struggles. Underoath has always been dubbed a Christian band. However, Erase Me touches on the bands disenchantment with religion. Their Spotify bio now reads: “The band who once openly, and without apology, professed their faith-based worldview onstage nightly, have since moved beyond the realm of seemingly impenetrable polemics. At various junctures, Erase Me illustrates those moments of sanctuary, anxiety, betrayal and conflict that inevitably arise when humanity grapples with belief systems.” While the album still contains elements of faith, the band is stepping back from their religious platform, and focusing on their personal growths and struggles. Lyrics touch upon Spencer Chamberlain’s struggles to overcome substance abuse, as well as the bands demise and rebirth. Underoath claims this is the most honest record they have ever written, and we can certainly see why. The album opens with “It Has To Start Somewhere,” a track that immediately intrigues the listener with its haunting opening notes. Right away the song delves into a head-banging beat and emotion-packed lyrics. “Rapture,” which recently was released as the second single off the album, presents itself as more of a sing-along track than its precedent, but still packs a punch. Another previously released single, “On My Teeth,” picks up the pace once again with intense instrumentals and heated vocals. “Wake Me” sends the album in a different direction with elements of pop and soft rock, and is another good sing along track. “Bloodlust” is one of the least memorable tracks on the album. While not a bad track by any means, it just blended into the rest of the album rather than sticking out with any unique elements. Next on the album is “Sink With You.” This track sounds like something out of an action movie soundtrack, with fast paced beats and static noise undertones. Erase Me slows down with “ihateit,” one of the most honest tracks on the album. The chorus, “You’re the only thing that gets me high and I hate it,” portrays the guilt that accompanies substance abuse. The album follows with “Hold Your Breath.” This one is home to one of the catchiest choruses on the album, and the beat of the song is perfect for a good circle pit. “No Frame” starts with a long, intriguing instrumental intro, before picking up about halfway through. Keyboardist Christoper Dudley’s electronics give the song a futuristic sci-fi vibe. Distant screams over eerie music add to the supernatural feel of the song. “In Motion” returns the album to an energetic pace. This is another one that seems to explore the struggles of addiction and being confronted by some one who doesn’t quite understand. “You can’t save my life. These events are already in motion, so don’t waste my time. You keep talking me back off the ledge.” Passion bleeds between each line and makes for a very emotive song. Erase Me concludes with “I Gave Up,” a heart-wrenching ballad. All of the elements present in the album come together in this song. “I gave up. Somebody help. Every day is a lie. Every mile a mountain.” The lyrics explore the struggle of losing yourself perhaps in an addiction, an illness, or just in life. This is one you will definitely want to listen to twice because the emotion is so poignant. Underoath is making a comeback, and doing so on their terms. Erase Me contains the perfect balance of melodies and breakdowns, introspection and growth, creativity and consistency. The album claims to be their most honest album released to date. The band has grown creatively and personally over the last eight years, and this new music depicts that. Erase Me marks a bold yet authentic comeback for the metalcore legends. Erase Me is set to release April 6 via Fearless Records. Fans can pre-order the album here. “On My Teeth” and “Rapture” are available for streaming now.